Fill your living room with the luxury look and comfort of this leather chaise sectional. Generously padded back sand plush pillow top cushions offer superior support and softness no matter where you sit, supplemented with a deep chaise end for extra space to stretch out or curl up. 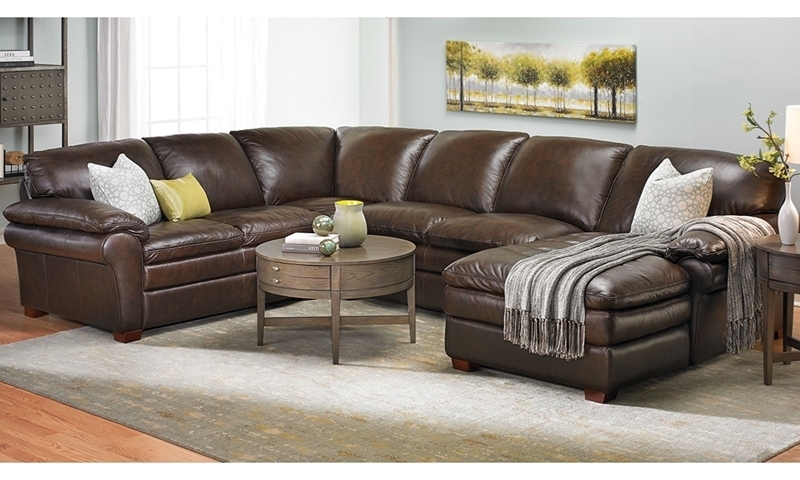 Brown top-grain leather covers the seats and padded roll arms of this sectional with a warm, inviting character that will always be on-trend.